Eagle Owls began a new Science topic in the autumn half term: circuits. They were fortunate to have a Mad Science presentation all about electricity to spark their interest, followed by a visit from Mr Canning (an electrician) in one of their lessons. He explained how electricians work all around the world in many different places; what his job entails; and how he became an electrician. He also helped the children to follow circuit diagrams and build accurate circuits, this resulted in some of the children discovering parallel circuits for themselves! 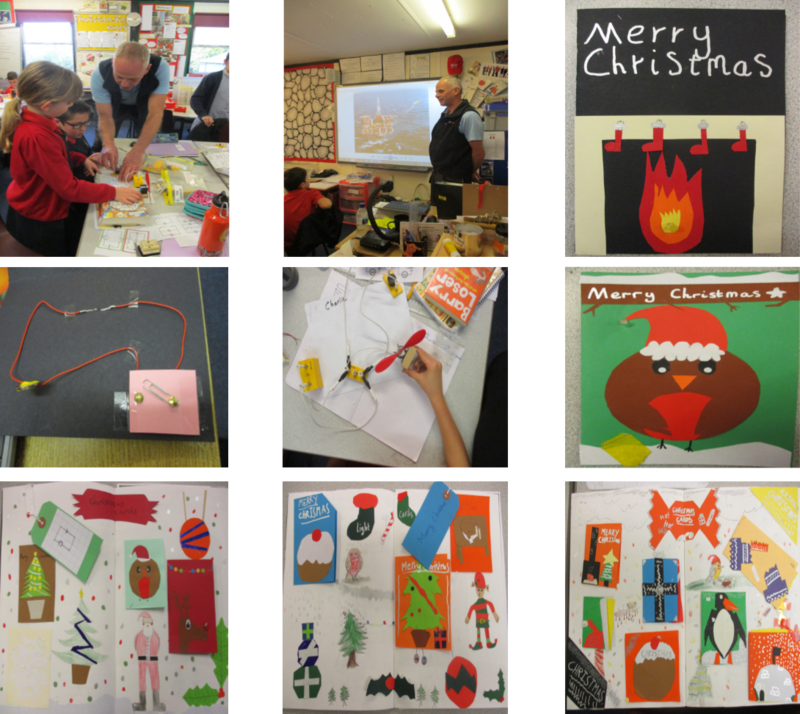 In their cross curricular work, the class made light-up Christmas cards, building their own circuits and designing their own cards. They discovered LED bulbs have positive and negative leads, so need to be connected to the battery correctly. They also had to think about a card design that incorporated the lit bulb successfully! Their sketchbook pages show how carefully they thought this through. Well done Eagle Owls!